Eddie Cusic was born in 1926 in Leland, Mississippi. He grew up farming with his family and was first inspired to play the blues from hearing men play at suppers and other get-togethers in his community. Like many Delta musicians of his generation, his first attempts to play were done on a 'diddly-bow', a one string instrument consisting of a piece of bailing wire attached to a wall and played with a knife or bottle neck. He eventually moved up to a Sears Roebuck guitar and began playing with other local musicians. However, despite regular gigs throughout the 1950's and 60's, Cusic was still struggling to provide for his family. It was during this time period that took a job at a local quarry and for the most part stopped performing. When Cusic returned to active performing in the 1980's, he came back to the music as a solo acoustic performer. He has been a mainstay at the Mississippi Delta Blues and Heritage Festival in Greenville for many years and more recently has been a featured performer at the Sunflower River Blues Festival, the Smithsonian Festival of American Folklife and the Chicago Blues Festival. Due to his long period of inactivity, Cusic has not recorded very often. His first feature recording was not done until late in the 1990's. 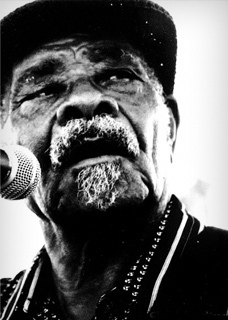 The CD, "I Want to Boogie", features songs Cusic has learned and performed from throughout his career, including traditional Delta blues like "Catfish Blues" as well as songs by Willy Dixon, Jimmy Reed, and others.